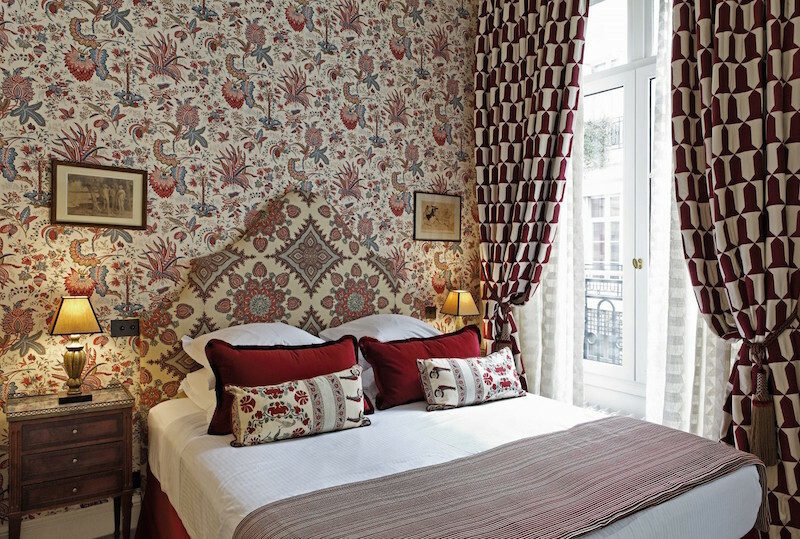 Paris has no shortage of hotels ranging from bohemian budget brands to some of the world's most luxurious grande dames. One of my favorites has to be the Relais Christine in the Latin Quarter, though. The hotel recently underwent a multi-million dollar refurb and is looking as gorgeous as ever. Check out my post about it on JustLuxe. Though I normally cover dining (and soon travel!) and the occasional Polo piece (tee hee) for L.A. Confidential, I hadn't done one of their "Power Player" pieces...until I was asked if I'd like to do a write up on one of Los Angeles's best known families, the Semlers. 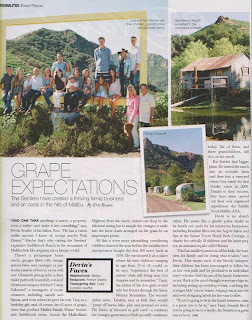 The Semlers, headed by patriarch Ron, are the irrepressibly quirky force behind Malibu Family Wines, and the very classification of Malibu as an American Viticultural Area. Their ranch is somewhat legend as a film backdrop, wedding venue, and all-round fantastical place that's home to prize horses, zebras and buffalo in the menagerie. Ron also has an incomparable collection of vintage automobiles and carriages. All that's just scratching the surface of this close-knit multi-generational family, and the sprawling ranch that they inhabit way up in the wild hills of Malibu. What's So Great About Burgundian Snails? Escargot is one of the best known dishes of France. Who hasn't tried, or at least been forced to try, those rubbery little snails bathed in garlic and butter and stuffed into either a little cassoulet dish or back into their shells? Who hasn't fantasized about being Julia Roberts in Pretty Woman, shooting a shell across a fancy dining room with the force of a Howitzer? Though escargot might appear to be the height of sophistication, or an exercise in daring dining depending on whom you ask, once people get past the idea of eating snails, they usually enjoy them as a tasty occasional appetizer without going into too much other detail. Last week (on my birthday! ), Travel + Leisure published my article about how I used airline miles and paid just $32 to book a $16,000 award ticket on Japan Airlines in first class from Los Angeles to Jakarta via Tokyo. I won't get into all the details about how I used Alaska Airlines miles to book my ticket here since I outline them thoroughly in that article. But what did not go into that article was the video I made about the actual experience of my flight. I pretty much decided to do this on the fly the day I traveled, so please pardon the casual nature of it and my extremely basic editing skills. I just thought it would be a fun look at one of my favorite first-class experiences in the world and what I actually do on the plane (mostly eat!). I hope you enjoy it! Leave me your thoughts in the comments and follow me @EricRosenLA on Instagram and Twitter to see more of my travels.